With fall just around the corner, there is no better time than now to get into the spirit of the season. Incorporating fall colors into your next big event or wedding is a simple and beautiful way to feel that “fall glow”. Allow colors such as lush orange, red, burgundy, and gold to stand out through elegant table linens, bright floral centerpieces, and most importantly, a remarkable cake that ties everything together. At The Baking Institute, we specialize in bringing this remarkable season to life. 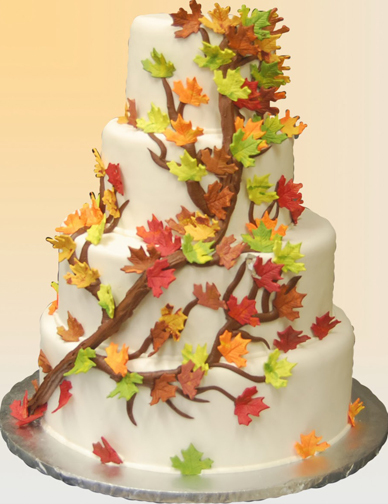 Using fondant to create decorations such as bright color leaves, flowers, pumpkins, and branch-like designs allows us to really add that extra fall touch to your custom designed cake. 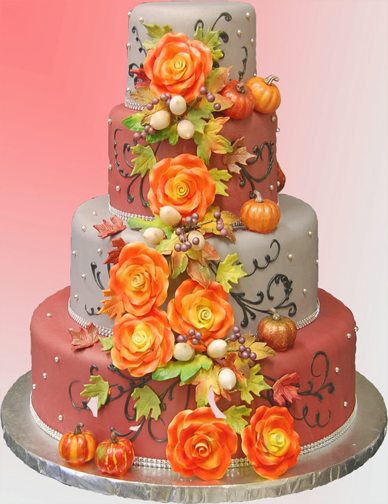 More importantly, we can also bring the taste of fall to the cake itself through flavors such as apple, cinnamon, and pumpkin. 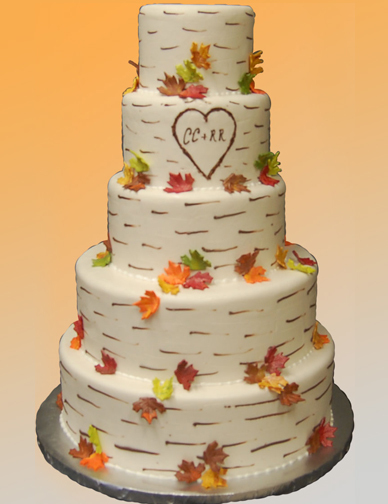 So this fall, as the leaves begin to change colors on the trees and the summer heat fades into beautiful cool days and nights, allow us to indulge your sense and bring the sights, smells, and tastes of fall to your next cake and event.